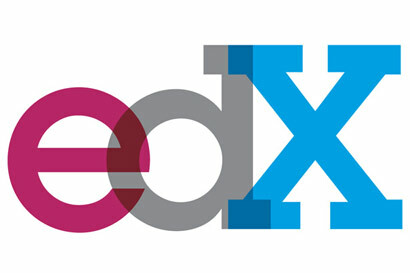 UC Berkeley today (Tuesday, July 24) has joined edX, a not-for-profit, $60 million online learning initiative founded by Harvard University and MIT and launched last May. Two of the seven free courses to be offered on edX this fall will be UC Berkeley classes, and the campus will collaborate with edX to expand the number of universities that offer their courses on the edX platform. UC Berkeley also will serve as the inaugural chair of the to-be-formed “X University” Consortium. Anant Agarwal, president of edX, estimates that several hundred thousand people will sign up for edX classes. Armando Fox, an adjunct associate professor of computer science whose class, “Software Engineering for Software as a Service,” taught with David Patterson, professor of electrical engineering and computer science, will be among the seven offered on edX this fall, said that course already has been offered online and that some 5,000 students have completed it successfully. The other “BerkeleyX” course to be offered on edX is “Artificial Intelligence,” taught by assistant professor Pieter Abbeel, assistant professor of electrical engineering and computer science, and Dan Klein, associate professor of electrical engineering and computer science. A wide range of people worldwide will benefit from having these free online courses, said Fox and other faculty members. Single parents unable to afford tuition, residents of developing countries, community college students, UC Berkeley students who take a class online to better prepare for the classroom version, and professors at other colleges and universities who want to use UC Berkeley materials in their teaching are among those already taking advantage of the campus’s spectrum of online fare, they said. “We’re flattered that professors at other schools worldwide don’t just think this is valuable material, but that it’s well-presented and compelling and polished enough to be presented as part of their classes,” said Fox. “Our goal here is to reinvent education worldwide and on campus through these technologies,” said Agarwal in a teleconference this afternoon with Birgeneau, Vice Chancellor for Administration and Finance John Wilton and Fox. Students who take the edX courses will learn at the same pace, with the same rigor and from the same professors as their on-campus counterparts and take the same quizzes and tests. If they successfully complete a class, they will receive a free certificate of mastery, but Anant said that a small charge for that document may be required in the future.